The Ricardos and Mertzes fly to Cuba for a visit with Ricky's relatives and for the bandleader's two-day engagement at the Hotel National's Casino Parisien. Lucy is wary of meeting her in-laws, especially the formidable head of the Ricardo clan, Uncle Alberto. Ricky assures her that all will go well: "Make sure you say muchas gracias to Uncle Alberto all the time. He likes that." Lucy is a nervous wreck at the reunion, where nothing seems to go right for her. When Uncle Alberto asks her where she got her beautiful hair, Lucy replies: "Oh, I get it about every two weeks." She then proceeds to spill punch on his white jacket, rip his straw hat to shreds, and destroy a pocketful of expensive Cuban cigars. When Lucy mispronounces muchas gracias, calling the patriarchal uncle "a fat pig" instead, she feels like a doomed woman. Lamenting the next day, she says: "After what I did last night, Cuba might cut off America's sugar supply!" To take her mind off family relations, she goes souvenir-hunting while her husband and son rehearse for their nightclub appearance. Determined to make up for the Uncle Alberto fiasco, Lucy buys him a box of his favorite cigars, Corona Grandos. Finding herself short of cash, she promises the tobacco store owner that she will return with the extra funds later. An argument develops, made worse by the entrance of Uncle Alberto himself. 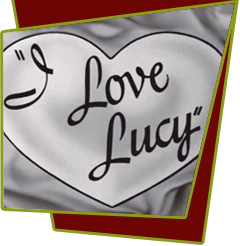 To avoid him, Lucy dons a big hat and apron, and proceeds to roll cigars like her co-worker. After completing a foot-long stogie, Lucy retreats. The night of the big performance, Ricky sings "A Lucky Guy," then introduces Little Ricky and together they perform "Babalu." Proud Uncle Alberto leans over to Lucy and comments: "Anyone who is the mother of a boy like that is all right with me." Special Notes: At the time of the episode, the Cuban revolution had already started in 1953. By this time in 1956, Guerrilla Warfare was starting to occur throughout Cuba. When the American and Cuban political relationship faltered in the early '60's, CBS pulled this episode from the morning rerun lineup. The episode finally returned when the series went into syndication again in 1967. Desi Arnaz was a Cuban refugee arriving in Florida on June 27, 1934. Mary Emory reprises her role as Ricky's mother from episode #105, "Lucy's Mother-in-Law". Bloopers: Uncle Alberto's hat goes through a series of events during the show: it's on and off the table several times in between shots, then it winds up in Ricky's hands, then after he throws the hat back to Alberto, the hat again is on and off the table in between shots, finally, Alberto accidentally smashes the hat, and a few shots later, it's undamaged and brand new.